Everyone who reads this blog knows I'm more partial to heels, sandals, etc than I am to sneakers but when I see an innovative sneaker, I have to celebrate it's innovative details. It's not often you see a sneaker be really fashion forward, and I mean with fashion elements, not spec innovations. This is why I am bowing down to these Converse Chuck Taylor® All Star® Hi-Ness Cutout Sneakers. 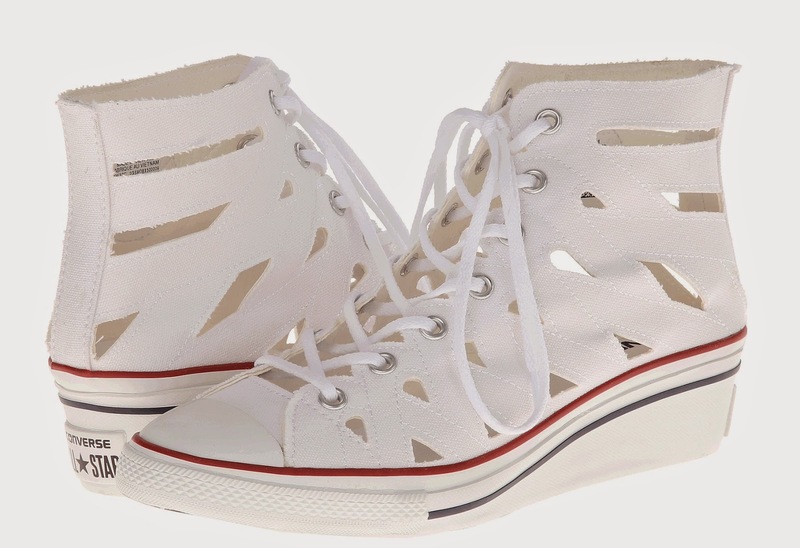 These high-top wedges features the traditional lace-up closure with metallic eyelets, rubber cap, vulcanized rubber outsole provides that classic Converse feel, the iconic Chuck Taylor® All Star® patch logo, a very stable 1 3/4" wedge heel, and a durable canvas upper with strategic cutout detailing. Cutouts have been seen in every other segment of women's footwear and we're happy to see it in a sporty shoe. Grab them for only $52.00 at 6pm.com.